When your account is connected with Garmin all future activities and those of the last thirty days will be transferred. To start the initial sync you need to track at least one new activity at Garmin. Afterwards Garmin will send us the last 30 days of activities. This can take some time (hours up to one day). – Why do you get only the last thirty days of activities by Garmin and how do I get them all? Unfortunately, we do not know the “why”. We get a maximum of the last thirty days of user activity through this Garmin interface. Unfortunately, we do not get a special regulation, as there are for some other providers. 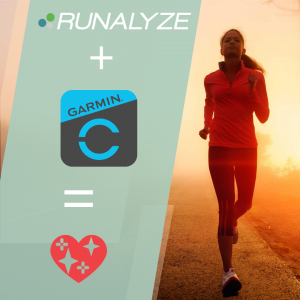 We have a secret/hidden tool at RUNALYZE – You will find it at https://runalyze.com/tool/garmin-import. 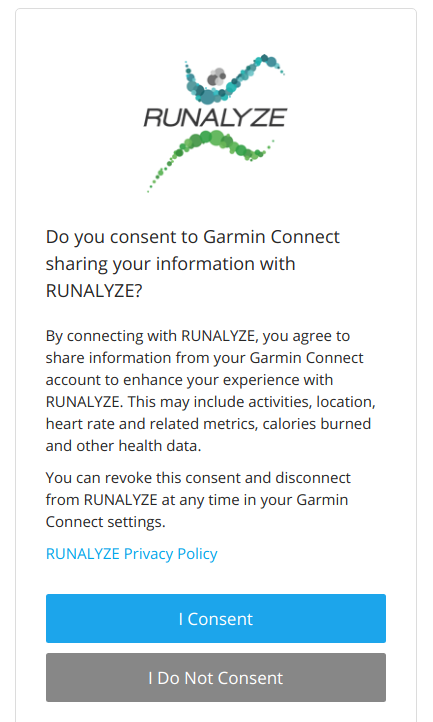 Just login with your Garmin Connect Credentials and we will try to download all your activities into your RUNALYZE account. – Can I define which activities are synced? No, you cannot define which activities should be synced. We always get all activities by garmin. – I have already uploaded activities within the last thirty days. Will there be duplicates? No duplicates should be created – The activity’s start time will be used to identify possible duplicates. Garmin doesn’t send us these activities. Unfortunately, we cannot change this. – Are steps, weight data and co also transmitted? No, this data can only be accessed via another Garmin API. We will connect this API when we have revised the health section at RUNALYZE. We are working on adding a direct synchronization with other portals. We don’t have a fixed timetable for that.